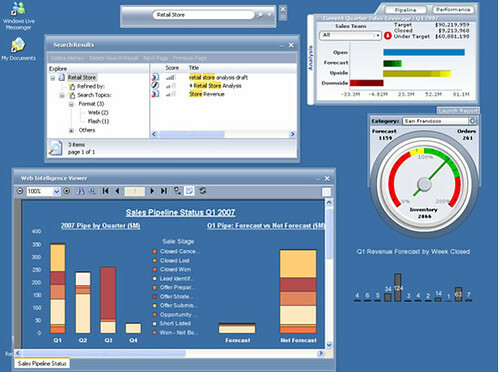 Dashboards widgets are going to be the future trend. The above is a nice example of the dashboard portlets right on the PC desktop screen. It is cool, but see lot of drawbacks. You can just have one view where as with a Dashboard inside the html or dashboard viewer you can have multiple pages as Tabs just like your browser.